Corporate Globalization has created a growing worldwide demand for guidance on how to apply the principles of integrated marketing communications across borders. Corporate Globalization has created a growing worldwide demand for guidance on how to apply the principles of integrated marketing communications across borders. 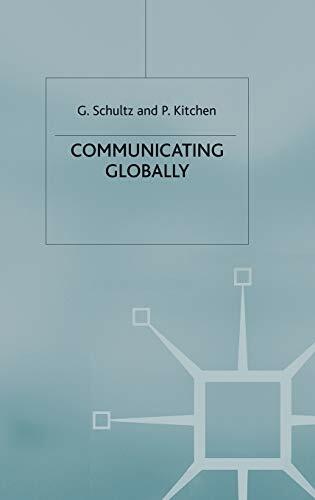 This book answers that need by supplying the knowledge and skills required, from how global integrated marketing communications works to strategic planning and creative execution. It includes discussions on compensation, measuring consumer response, and on the corporate blocks to integration. The authors not only explain the latest marketing communications theories, but also illustrate them with ample examples, vignettes and 5 in-depth case studies (British Telecom, DeBeers, Oral B, Dow Chemicals and Orange plc) making this an ideal text for MBA and post-experience marketing communications courses.